The 'Parks and Recreation' and 'Fargo' star will perform in Denver in December. DENVER — Award-winning actor, writer, woodworker, and comedian Nick Offerman has announced his "All Rise" tour will stop at Denver's Paramount Theatre on Thursday, Dec. 12. Tickets for Offerman's Denver performance go on sale Friday, March 22 at 10 a.m. at AltitudeTickets.com, LiveNation.com or by phone at 303-893-TIXS. Offerman’s fans can get tickets before the general public beginning Tuesday, March 19 at 10 a.m. local time using the password ALLRISE at OffermanWoodshop.com. The brand-new tour, "All Rise," will visit theaters in 37 cities, beginning July 2 in Thackerville, OK and wrapping Dec. 14 in San Diego. 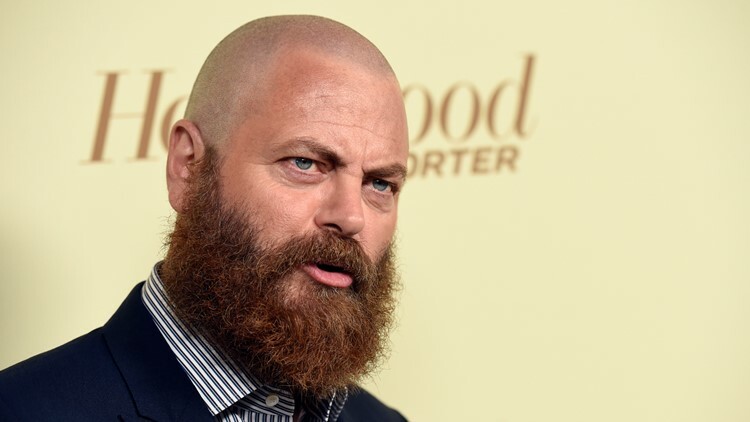 “My aim in this undertaking is to encourage my fellow Homo Sapiens to aim higher in life than the channels of consumerism would have us imagine,” said Offerman, in a news release. “It’s a proper revival suggesting the existence of a higher power in the land than commerce, one that will cause you to pop, lock and rejoice! Come on down and hear the good news that will make you go jingle-jangle in your juice box." Actor Nick Offerman poses at the 2018 Hollywood Reporter & SAG-AFTRA Emmy Nominees Night, Friday, Sept. 14, 2018, in Beverly Hills, Calif.